Police have arrested a man with 4,000 methamphetamine pills hidden inside his underwear at Phuket checkpoint this week. 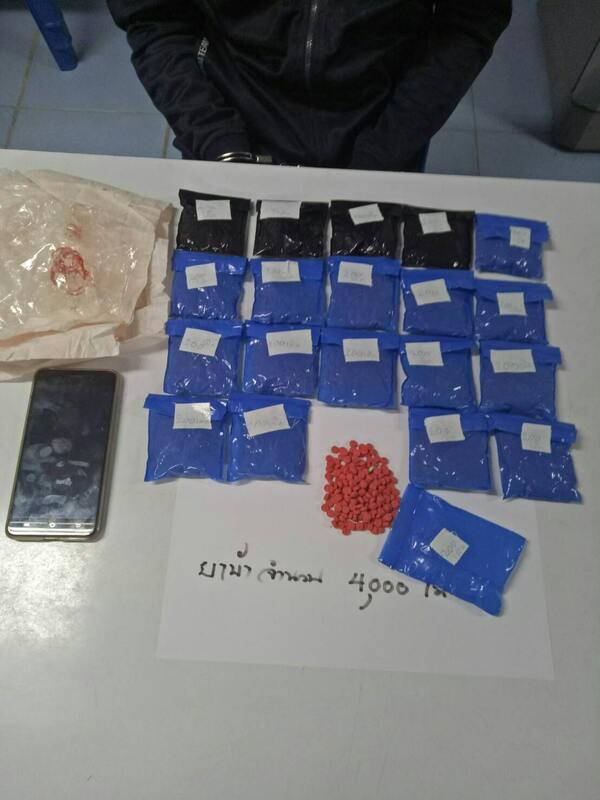 A team of police at the Phuket Checkpoint in Mai Khao arrested 22 year old Kriengkrai Jongrak from Krabi after found the 4,000 methamphetamine pills. Kriengkrai was taken to the Tha Chatchai Police Station where he was charged with illegal possession of Category 1 Drugs with intent to sell. The arrest followed a routine check at the Phuket gateway checkpoint. 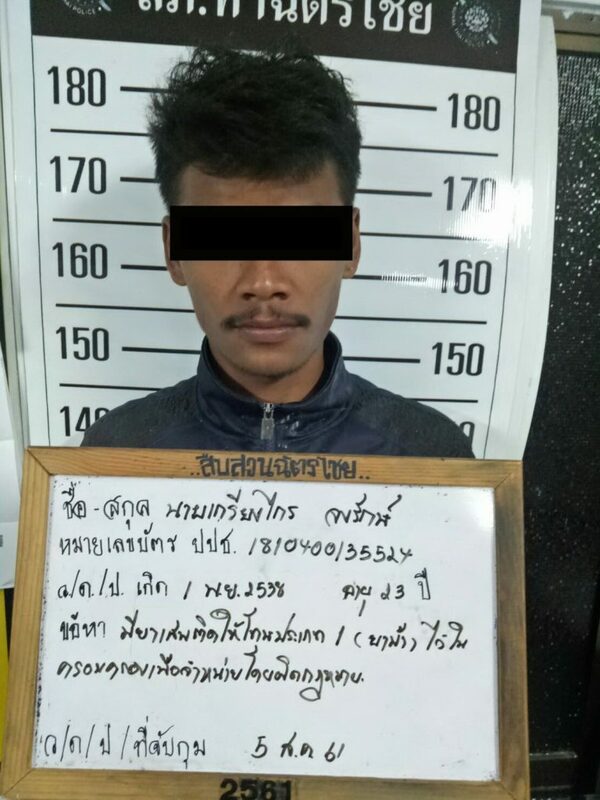 Kriengkrai, who was a passenger, and Aniwat Janjueakaew, the driver, were heading to Phuket on a motorbike with a Nakhon Si Thammarat registered license. Police stopped them and conducted a search of the motorbike and then patted the two down. Police found 4,000 of methamphetamine pills ‘hidden’ inside Kriengkrai’s underwear. Kriengkrai told police that he was hired by Adithep ‘Mod’ Natungnui to deliver the drugs for 5,000 baht.